A recent three-year, $3 million grant from the National Institutes of Health has helped to solidify plans for the new Long Island Bioscience Hub (LIBH). According to a university press release, the hub will represent collaboration between Stony Brook University, The Center for Biotechnology, Cold Spring Harbor Laboratory and Brookhaven National Laboratory to turn biomedical discoveries into commercial products that can improve patient care. 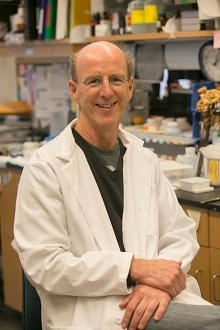 The new LIBH will be “designed to identify promising basic science and invest in the development of that idea towards [sic] applied goals to demonstrate feasibility of ideas to improve health and society,” said Stony Brook University’s Clinton Rubin, Ph.D., the principal investigator for this project and director of the Center for Biotechnology. Specifically, the LIBH will be tasked with developing medical technologies including therapeutics, preventatives, diagnostics, devices and research tools that will tackle a variety of diseases under the NIH’s purview. 4. Educating faculty, post-docs, and graduate students about entrepreneurship and commercialization in the life sciences, and establishing a formal mentor network. The creation of the LIBH is supported by the National Institutes of Health REACH initiative (Research Evaluation and Commercialization Hub), which aims to “provide qualified institutions with the initial investment and resources to nurture innovators to develop high priority early-stage technologies,” according to the NIH. “The review panel must have recognized the great potential of commercializing biomedical technologies from Stony Brook University, Cold Spring Harbor Laboratory and Brookhaven National Laboratory,” Rubin said. In addition to being a leader in bioscience and biotechnology, Stony Brook University is highly funded for a variety of medical and life science disciplines. 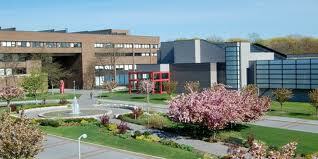 Stony Brook University received a $150 million gift from from the Simons Foundation. Stony Brook University recently received $60 million in new funding to build a state-of-the-art Innovation and Discovery Center on its Research and Development Park campus. Stony Brook University received a $10 million anonymous donation to create an Institute for Advanced Supercomputing. As a leading bioresearch institution, Stony Brook University is a great marketplace for new biotechnologies and lab equipment. Hundreds of researchers from Stony Brook are conducting active studies right now and are in need of the latest biotech and supplies. 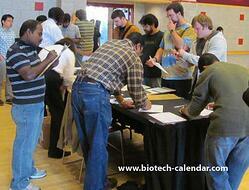 The best place for researchers to find the right lab supplies in 2015 is at the 10th Annual BioResearch Product Faire™ event at Stony Brook University on September 28, 2015. This annual event hosts hundreds of active scientists, educators and researchers, along with the top biotech and lab suppliers in the industry, to network and discover the latest tools available to life science professionals. 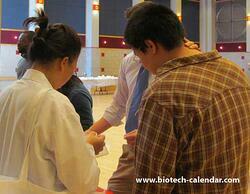 Last year, the BioResearch Product Faire™ Event at Stony Brook University attracted nearly 200 attendees from 13 different research buildings and 33 on-campus departments. Researchers: Take advantage of this opportunity to meet with top vendors, with free catering and prize giveaways – on your own campus. Lab vendors: Make sure your lab products are represent ed in the Stony Brook bioscience marketplace by participating in this popular life science event.